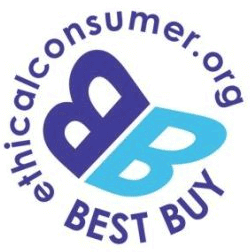 We’ve again been selected as an ethical ‘Best Buy’ for our mortgages and savings accounts by Ethical Consumer magazine in its latest ethical product guide ranking. As reported in the July/August 2016 issue of Ethical Consumer, the magazine undertook a survey that rated lenders on a range of environmental and ethical criteria. We received a clean bill of health on all counts and, as well as receiving the ‘best buy’, we also ranked top in a range of ethical criteria for our mortgages and our savings accounts compared to other banks and building societies.